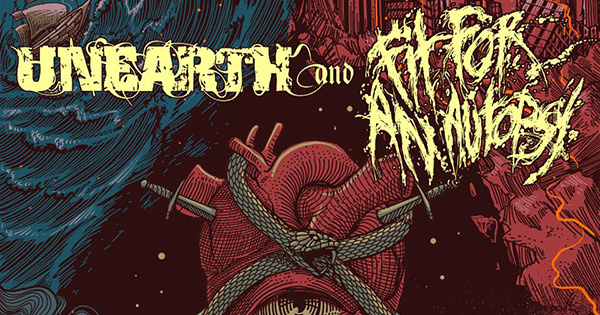 Unearth has announced a second leg of their U.S. tour with Fit For An Autopsy and The Agony Scene which kicks off November 19th in Cincinnati, OH. I AM will join the tour beginning November 23rd. Newly announced dates can be found below. Vocalist Trevor Phipps comments: "The feedback for this tour has been great, so we've decided to make it a full coast to coast run. Fit for an Autopsy and the Agony Scene will be continuing on with us on the western portion while I AM will take the place of Traitors starting November 23. We're excited to get back on the road and play songs from our new record 'Extinction(s)' as well as songs from our entire catalog."